We are a community group getting volunteers together to help clean up the beach and raise awareness of the problem of plastic pollution in the marine environment. Marine litter is harmful to marine wildlife and birds as they can get tangled in litter or confuse it for food and consume it causing it to clog their stomachs, eventually leading to starvation. Find out more about the problem of marine litter and what can be done on our Marine Litter page. There are a number of studies which suggest that tiny fragments of plastics, which happens as the plastics break down, are being carried through the food chain to the top predators – top predators includes humans. 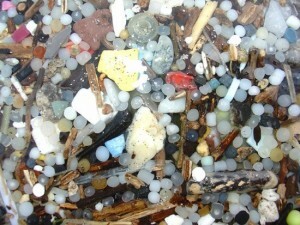 These small plastic pieces not only cause damage physically but they are often absorb other marine pollutants. Plastics never fully degrade only breakdown to ever smaller pieces. The beach is also a nicer place without all the rubbish!! 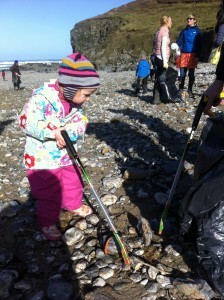 The Porthtowan Clean Up Project were started by two St Agnes VMCA volunteers, and a beach clean event is run once a month. To get involved update the facebook page or e-mail porthtowancleanup@hotmail.co.uk and see our Events page for details on up coming beach cleans at Porthtowan.